You know what I miss about being single? My old bedroom that was 100% reflective of my style: burnt orange walls, rich original pine flooring, dark woods, deep blue accents, and sunflowers, happy sunflowers. My retreat. And it was unabashedly bright and feminine. Being married, however, I try to downplay my naturally feminine decorating tendencies without necessarily going masculine, and the result is neutral. Not bad, but not fully representative of either of us. So, I decorate vicariously through my daughters, at least while they are still young enough not to offer much input. When I walk into this room, I feel so peaceful (until my wildling starts banging on the walls next door, of course). 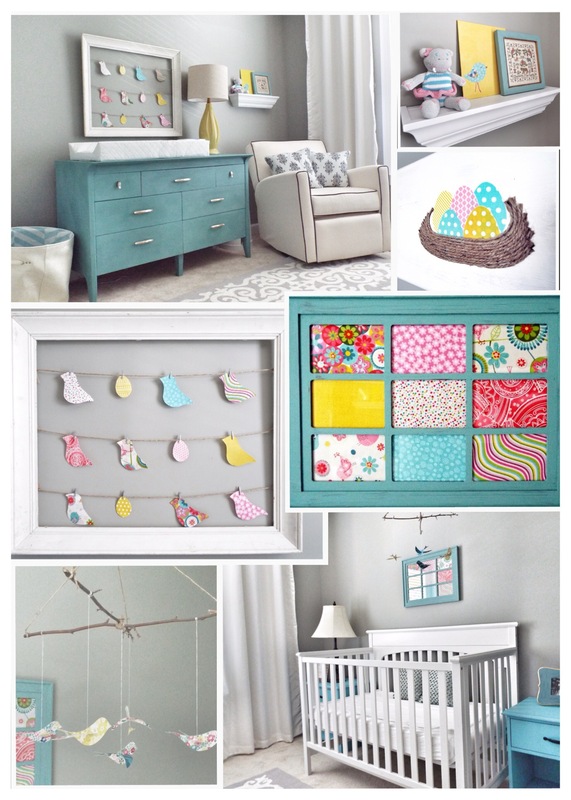 There’s a bevy of DIYs going on in this nursery, which I will walk you through in a three part series, but you know which is my favorite? This dresser. It was a thrift store find, purchased and DIYed with love by Lottie’s Heehaw, Glamma (yes, Glam-ma) and I over a fantastic weekend we spent together after she was born — a memory piece. To create this look, my father started some heavy duty sanding to buff out the deep scratches. 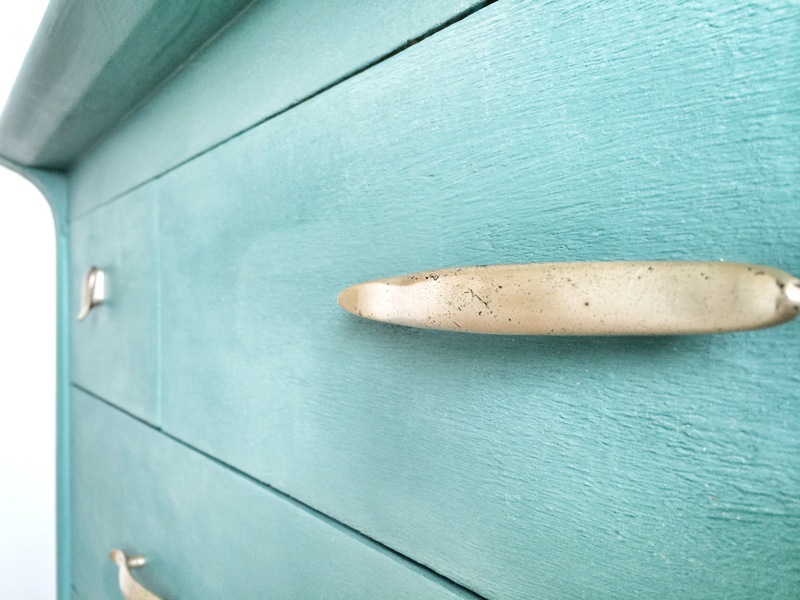 Next, Glamma and I applied two coats of chalk paint (Note: chalk paint doesn’t necessarily need a sanded surface!). We used swift, rough brush strokes that inadvertently created a textured surface with a softening effect. Finally, we applied one coat of wax, let it dry, and then reattached the hardware. Can you believe it’s the original hardware? So sweet. I loved this item so much I knew I had to make it the focal point of her room. And even though I’m sure it will see its fair share of markers, dried boogers and carved initials, I hope she’ll one day appreciate the love that went into it. As I journal DIY projects from here on out, I’ll make note of time, materials and costs to help you decide whether or not this is a project you’re willing and able to tackle. Time, between three people and a power sander, about 1-2 hours of labor and about 2-3 hours of drying time. 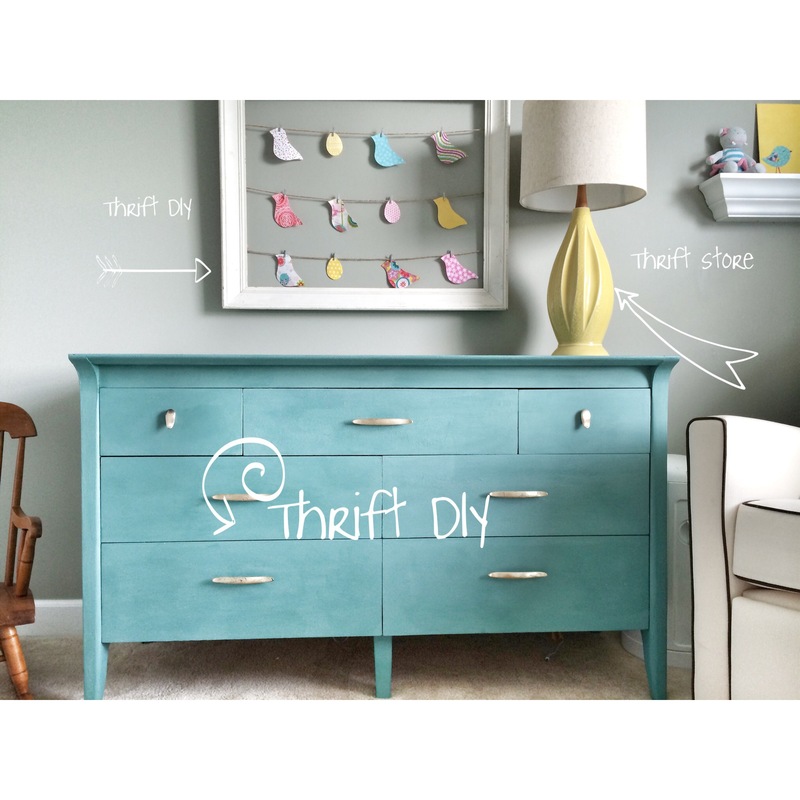 Some cost saving alternatives would be using a donated or existing dresser or chest is drawers, as well as making your own chalk paint (I’ll cover my experience with this in a future post). What a great article. The room is beautiful! So proud of all your projects. 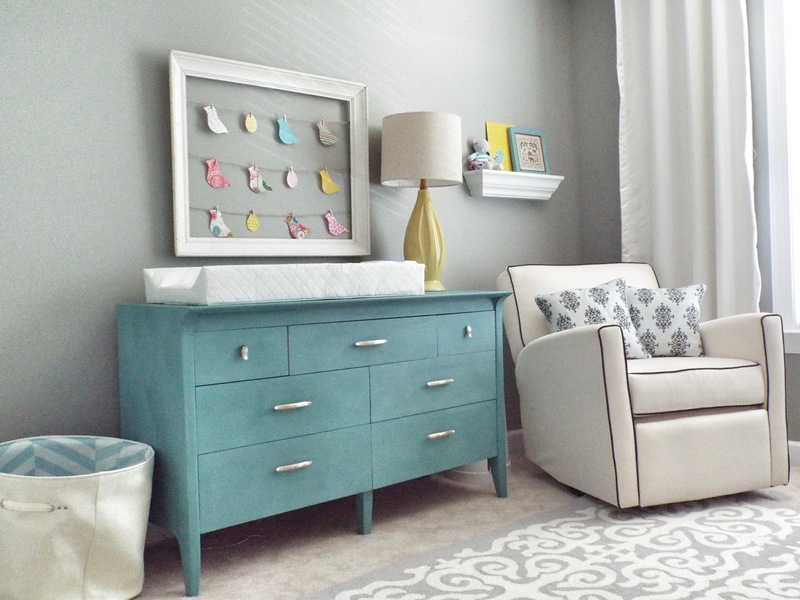 Two Days, Two Giveaways: Win a $50 Gift Card to Project Nursery!